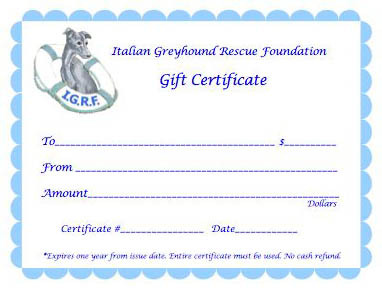 A Gift Certificate that will go towards the purchase of any item on the IGCA Rescue items website. from IG coats to human IG related jewelry. Gift certificates can be printed in any amount (your choice). They are attractive and can be mailed to any person of your choice.